MATALA. 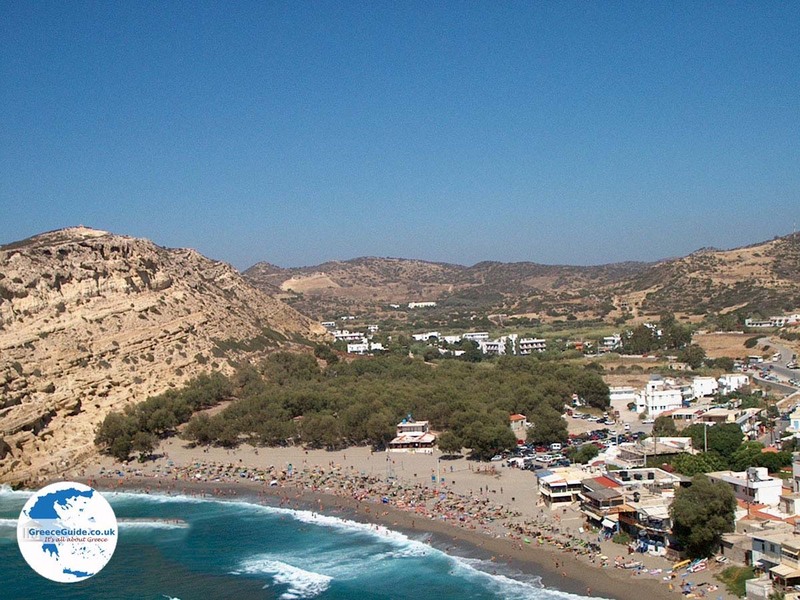 Matala is situated on the southern coast of Crete, at the end of the Messara plain, 65 km. from the airport of Heraklion. 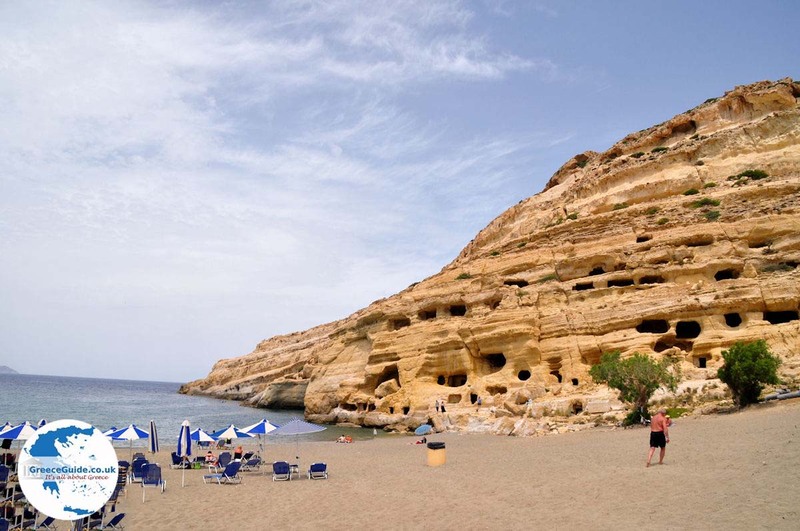 Matala became world famous by its unique location between the cliffs, which give numerous holes (ancient burial chambers) this location is a characteristic face. 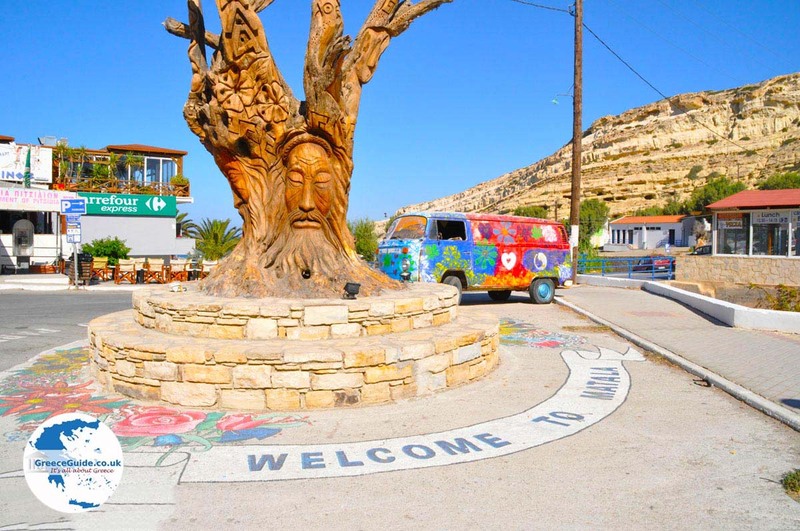 In the sixties Matala was the domain of hippies. Today, the caves can be visited during the day, but at night everything is closed. 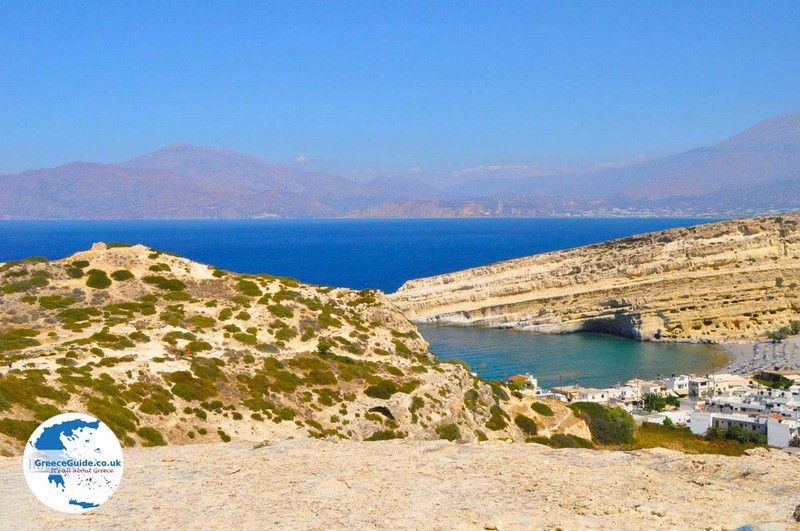 The closer one comes from Phaistos to Matala, the more the mountains from left and right meet. 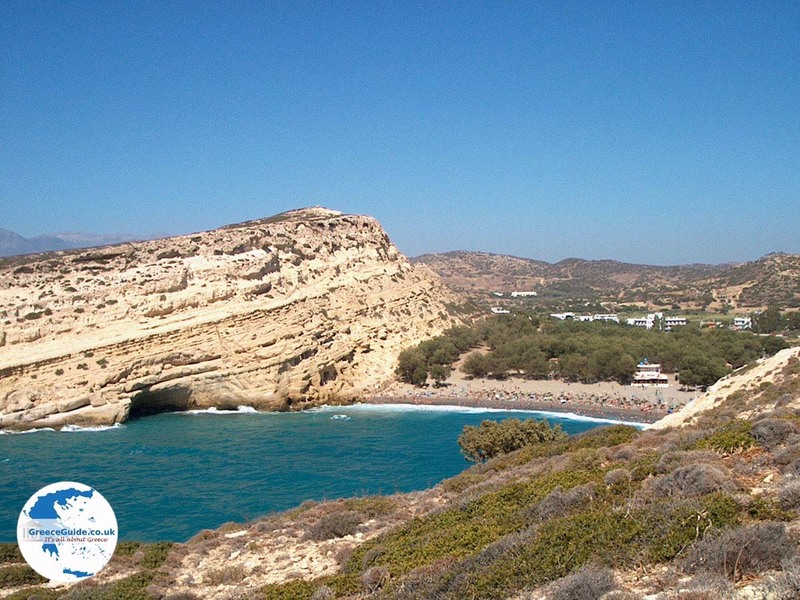 The beautiful bay where Matala is located is very narrow and opens up to the West. For visitors and inhabitants of Matala, every night there is a breathtaking sunset. The village is still expanding outwards, there are more and more new hotels and apartments being built. The old center is now closed to cars. There is a car park, just before the village directly on the beach. On the main road to Matala, during the last few hundred meters, there is also enough space for cars to park. In Matala there is plenty of choice of restaurants and terraces with fantastic views of the bay. 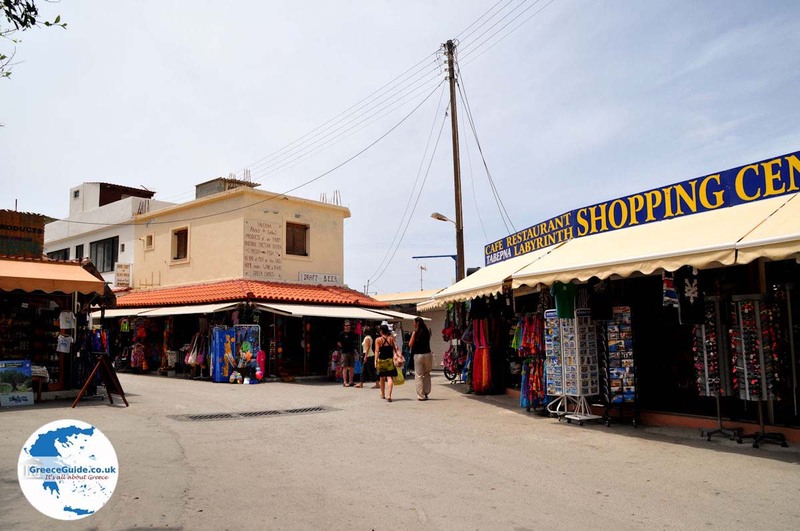 There are several souvenir shops , a walk in the village is very pleasant. 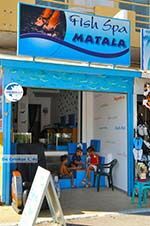 In Matala there are all kinds of things for sale, there are also some internet cafes. 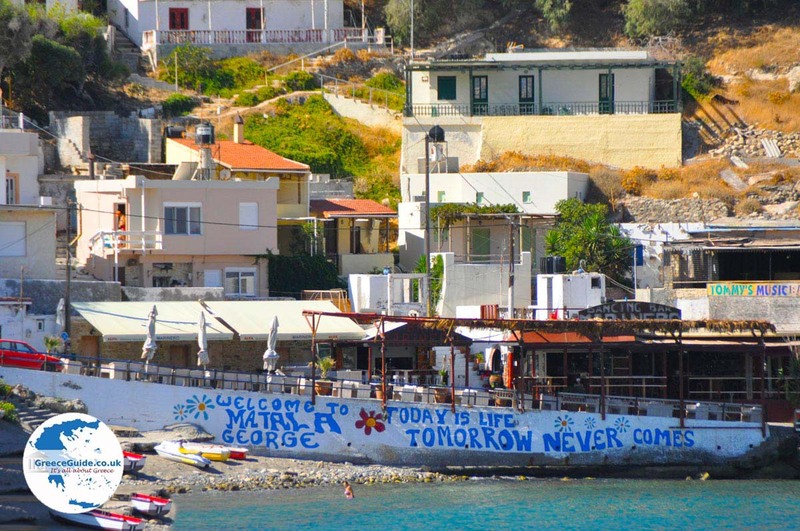 There is plenty of nightlife in Matala, pubs, discotheques and bars. Of course there are lots of nice hotels and villas with very reasonable prices. 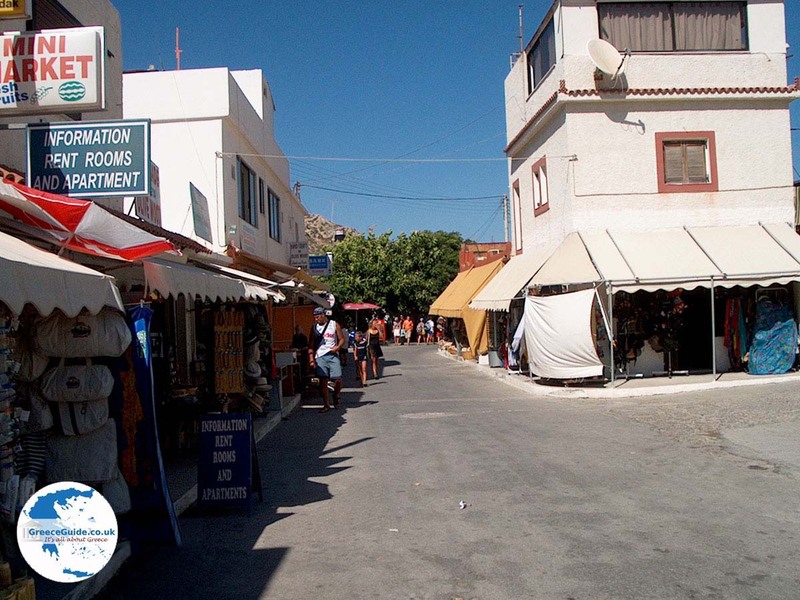 Some of them we can recommend: Hotel Zafiria, Hotel Calypso and Valley Village. There is also a simple camping near the beach and the village. It is busy in the summer although hard to imagine in the winter only about twenty people live here! Most people live namely in the village Pitsidia, which lies a little further inland. 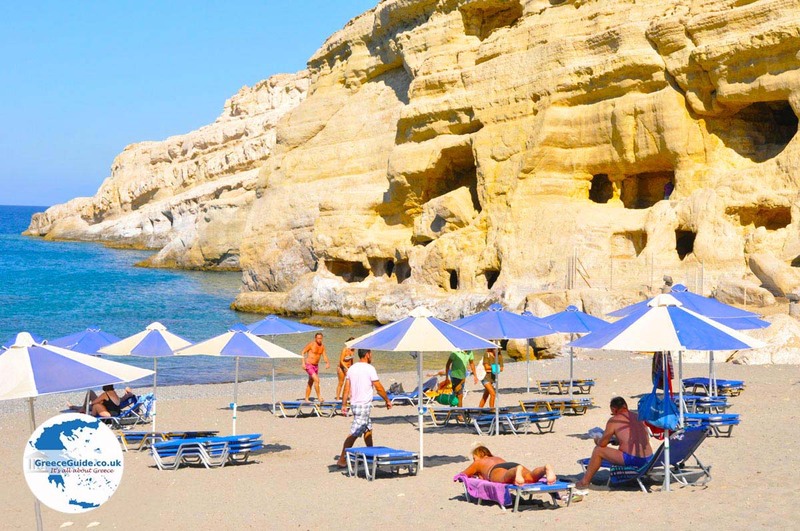 The bay of Matala has coarse sand and there are sunbeds and umbrellas for rent. It is also possible to rent pedal boats. Keep an eye on the children in the sea because the water becomes deep very quickly. 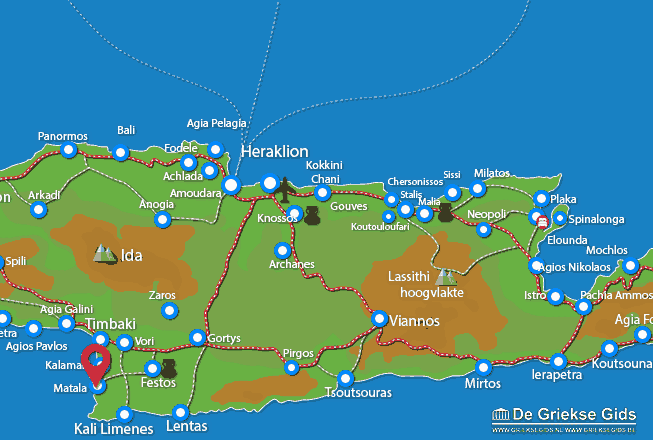 Heraklion Prefecture: Where on the map is Matala located?